Mayerli Barzola is the WHSAD Sophomore of the week for January 15, 2018. Mayerli’s confident personality and generous nature make her a prime candidate for such recognition, and her pertinacious efforts in class provide the type of student model on which our school prides itself. Mayerli’s Spanish teacher, Ms. Soto, says “[Mayerli] is always on task. She kindly helps her peers. 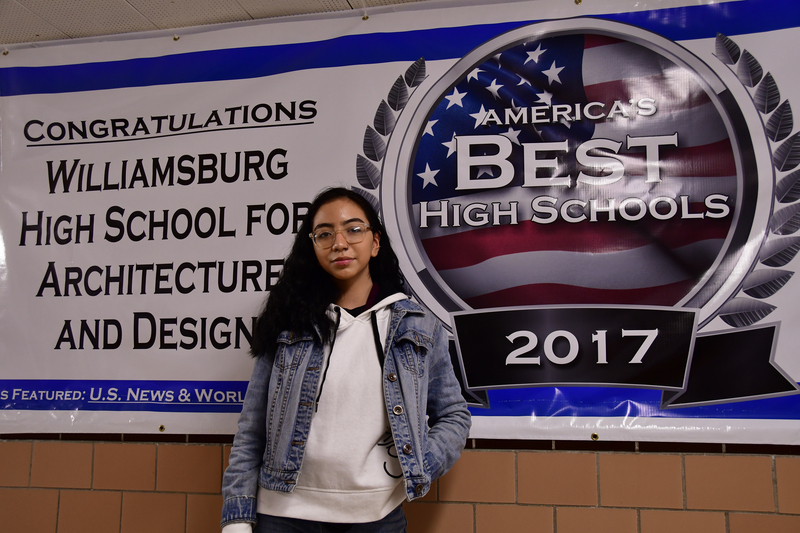 She loves to participate in class,” and her Global History teacher, Ms. Como, tells us “Everyday Mayerli comes to class motivated and dedicated to go above and beyond. She is a model student who is always prepared to engage in class discussions and is especially helpful to her peers during group work activities.” Below are some insights from Mayerli herself regarding her favorite subjects as well as her thoughts on her nomination. My favorite classes at WHSAD would have to be Global History and English. This would have to be due to the fact I enjoy writing, reading, etc. as well as learning global history. These classes are challenging to me but, at the same time, straightforward. Not only do I like these subjects but I like my teachers . Why do I think I was nominated? I’m guessing it’s because my teachers feel like I am very active during my classes. I participate very frequently, I listen, I also help my peers if they need help. I’m respectful and get my work done, I turn in my homework, arrive on time and all that.